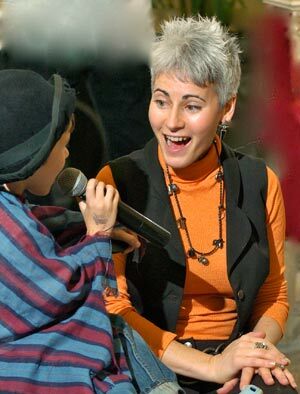 Eva is a nationally recognized Master Storyteller, specializing in Jewish Folklore, and an expert on interactive storytelling techniques. Eva has recorded on CD, A Story A Day, Absolute Chanukah and Proud To Be Jewish. She co-produced and co-wrote the video, The Secret in Bubbe’s Attic. Eva is the author of Mr. C the Globetrotter and Mr. C Plays Hide & Seek. Eva was an educator in hebrew schools for over 15 years while developing her repertoire of interactive stories and pursuing an acting career. 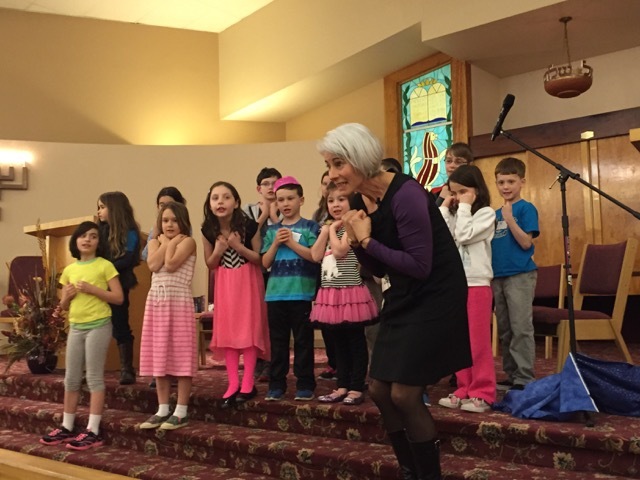 She tutors b’nai mitzvah students and leads High Holiday programs. After surviving a life-threatening illness, Eva expanded her work to include bikkur cholim workshops. She has been the Artist/Scholar-in-Residence at synagogues nationwide. In her signature style, Eva offers creative strategies to enrich Jewish learning for students, educators and families. Her dynamic presentations energize audiences of all ages. All programs are approximately 1 hour in length and can be tailored to any theme. Achieve multi-sensory learning through reading a simple Jewish Folktale, or telling a familiar story (Chanukah/Purim). Engage imaginations with uniquely interactive techniques to introduce Jewish concepts, Hebrew vocabulary and history. How do we bring meaningful interactions into busy lifestyles? Learn how Shabbat, bedtime Shema, and sharing Mitzvot can become avenues for teaching Jewish concepts while nourishing a foundation of family communication. Intimately understand how faith, prayer, and friendship impact life’s hard times. What do you say? Should you visit? How can you help? Through stories about overcoming a life-threatening illness, Eva empowers listeners with concrete tools to inspire a personal connection to prayer, God and the their Jewish community. View my hand-out for a high school Yom Kippur program. Engaging stories are memorable. Eva provides strategies and interactive tools for Rabbis to connect children and adults to the stories they tell. Pick a story, call Eva, and she will, talk you through the many ways you can spontaneously involve members of the congregation with sound effects, hand gestures, group responses, and even as a character in the story. Typed notes included. 8-9AM: Bagel breakfast for teachers with inservice workshop on interactive storytelling techniques before school begins. Can be repeated for schools with afternoon sessions. Include a Leadership Workshop for Bnai Mitzvah and Confirmation students. Include a Teacher Workshop before school begins including breakfast, or right afterwards with lunch.